Hello everyone! 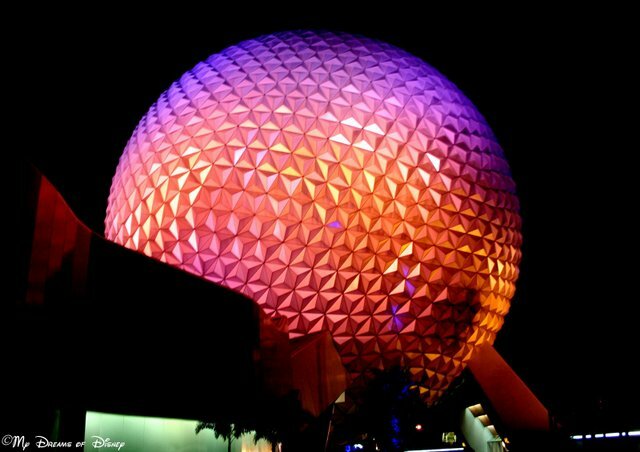 This special page is dedicated to look at the different pavilions that you can find in the Future World section of Epcot! As you probably know, Epcot is comprised of two different areas — in many ways, Epcot is often thought of as two parks in one! On the one hand, you have the World Showcase portion of Epcot, which is a great area to visit eleven different countries to learn more about the culture of each of them. Then, you also have Epcot Future World, which is comprised of nine different pavilions, which generally are named based on the major attraction that you can find in each pavilion. We are exploring all of the different Future World pavilions, so please stop by and visit as we continue to expand on this page. Just click on each of the images that you see below to read the post for that pavilion! The ones without photos haven’t been completed yet, so keep checking back, and thanks! Heidi takes us to the Imagination Pavilion!